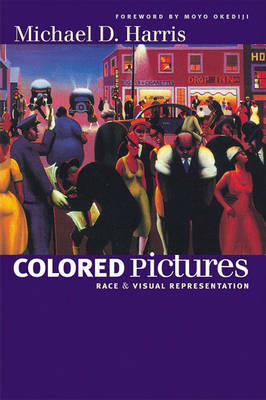 In ""Colored Pictures"", artist and art historian Michael D. Harris traces black artists' responses to racist imagery across two centuries, from early works by Henry O. Tanner and Archibald J. Motley Jr., in which African Americans are depicted with dignity, to contemporary works by Kara Walker and Michael Ray Charles, in which derogatory images are recycled to controversial effect. The work of these and other artists reflects a wide range of perspectives. Examined together, they offer compelling insight into the profound psychological impact of visual stereotypes on the African American community.